The US Food and Drug Administration authorized in December 2016 the first drug to treat children with "Spinal Muscular Atrophy," an autosomal recessive genetic disorder. This disease only appears when two mutated alleles (homozygosis) are inherited. Almost always, when a child suffers from “Spinal Muscular Atrophy”, both parents are the carriers of the mutated gene. It is estimated that 1 person out of 40 are carriers of the mutated gene. Only 2% of all cases are due to "de novo" mutations. The description “Spinal Muscular Atrophy” includes a set of different genetic muscular pathologies, which together represent the second cause of neuro-muscular disease, only behind "Duchenne Muscular Dystrophy" (1). The incidence of 'Spinal Muscular Atrophy' is 4 cases out of every 100,000 births. “Spinal Muscular Atrophy” is classified into five types. "Spinal muscular atrophy type 1 ("Werdnig-Hoffmann disease"), debuts at around 6 months of age, with hypotonia, fasciculation, tremors, difficulty swallowing and breathing. Affected children do not crawl, sit, or stand erect. Sadly, they usually die before they reach two years of age. "Spinal muscular atrophy type 2" (intermediate form) debuts between 6 and 18 months of age. Children can sit up for themselves but not stand up. Respiratory infections are common, and the child’s life expectancy does not usually go beyond adolescence. "Spinal muscular atrophy type 3", or "Kugelberg-Welander disease", debuts between 2 and 17 years of age. It manifests itself with an abnormal gait, difficulty running, difficulty getting up from a chair and fine trembling of the fingers. They also have scoliosis (like children with type 1) and contractures due to the shortening of muscles. The incidence of respiratory infections is higher than healthy children of a similar age group. Although their morbidity is high, their overall mortality is similar to that of the population as a whole. "Congenital spinal atrophy with arthrogryposis" is a very rare form. Clinical manifestations include severe contractures, scoliosis, deformity of the thorax, poorly developed jaws, ptosis of the eyelids, as well as frequent respiratory infections. "Progressive hawthorn-bulbar muscular atrophy," or "Kennedy's disease," may range from approximately 15 years to the sixth decade of life. It debuts with a progressive weakness of the muscles of the face, jaw and tongue, with problems chewing, swallowing and speaking. The progression of this atrophy leads to fasciculation. Sensory alterations occur in hands and feet triggered by sensory neuropathy (sensory nerve degeneration). 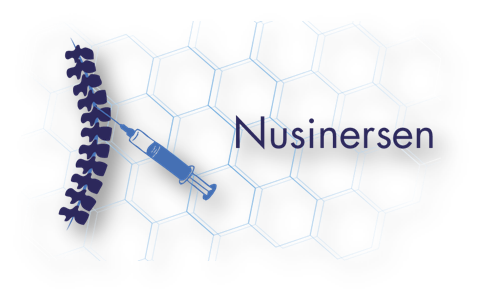 Nusinersen (2) (Spinraza®) is an "antisense oligonucleotide" (3) associated with chromosome 5q which contains information for the synthesis of the SMN protein (acronym for “Survival Motor Neuron”). The drug, whose trademark is Spinraza®, will be commercialized at a price that will place it among the most expensive of all medicines on the market. The marketing laboratory, Biogen, which acquired the rights to sell the drug from Ionis Pharmaceuticals, stated that it will cost $125,000. This means that the first year of treatment (5 or 6 doses) will cost between $625,000 and $750,000; and the following years $375,000 to cover three annual doses. Patients with “Spinal Muscular Atrophy” will require treatment with Spinraza® for the rest of their lives. The high price of some drugs is a matter of growing concern in the United States where there is freedom of pricing. The cost of the treatment could lead the insurance companies to exclude groups of patients, including infants; precisely those who could benefit the most from the new drug. The price of Spinraza® is comparable to other medicines for the treatment of rare diseases. A spokesman for the marketing company, Biogen, stated that the price of the drug has was decided taking several factors into account, including the cost for health services, the clinical value for the patients, and the acceptance by insurance companies. Biogen provides measures so that no patient is left untreated due to financial constraints. As with other very expensive treatments, the laboratory has created a programme to help families obtain approval for treatment from their insurance companies. Kenneth Hobby, president of Cure SMA, a group that supported $500,000 in the first phases of the research that led to Spinraza®, stated that the most important thing is not the marketing price of the new drug, but its correct prescription. The number of children born in the United States with “Spinal Muscular Atrophy” is around 400 a year, and there are about 10,000 suffering this disease. 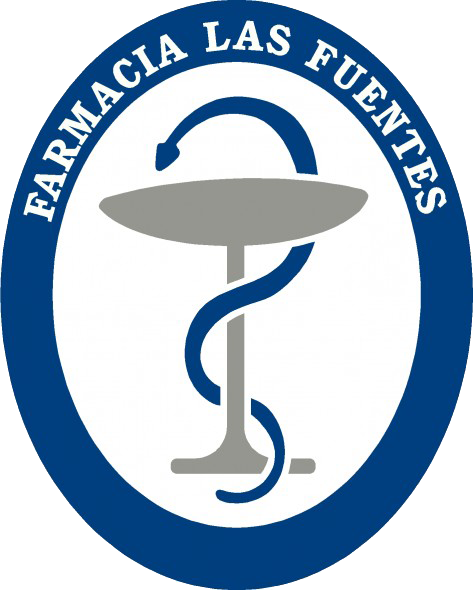 The Spanish website of the "Muscular Spinal Atrophy Foundation" (www.funame.net) is a great help to families and professionals alike. As stated in the first paragraphs of this text, the biochemical basis of this disease is the absence or deficiency of a protein in the motor neurons. Poor innervation of muscles causes them to degenerate and leads to atrophy. Spinraza® operates with 'anti-sense RNA' technology. It obtains a genetic backup, synthesizing the correct protein from a gene that normally encodes an incomplete protein, while blocking the translation of RNA transcribed from the mutated gene. Spinraza® (Nusinersen) is the second drug developed with "anti-sense RNA" biotechnology which was authorized by the US Food and Drug Administration (FDA). The first "anti-sense oligonucleotide" approved was Vitravene® (Fomivirsen) (4) for the treatment of cytomegalovirus retinitis in patients with AIDS, and is administered intra-vitreous. The US Food and Drug Administration (US-FDA) required the manufacturer to conduct a clinical trial involving 82 patients. 40 were treated with Nusinersen (Spiranza®), and the remaining 42 with a placebo. All participants received intra-spinal injections, placing the medication or placebo in the cephalic-spinal fluid. Soon, children treated with Nusinersen (Spinraza®) acquired skills (crawling, sitting, standing up) that they had lost after having acquired these before the disease began. These improvements were not observed in any of the children in the placebo group. Additional studies (open and uncontrolled) were performed on symptomatic patients of a wide range of ages - from 30 days to 15 years at the time of the first dose, as well as on pre-symptomatic patients between the ages of 8 days and 42 days at the time of the first dose. In these studies there was no control group, and it was very difficult to carry out an objective evaluation. However, the results were concordant with those obtained in the controlled clinical study. The most common side effects reported during clinical trials were respiratory tract infection, atelectasis, and constipation. It is necessary to carry out platelet counts as there is a risk of thrombocytopenia and a renal function test because there exists a risk of glomerulonephritis. During studies on laboratory animals some cases of neurotoxicity were observed. Spinraza® was recognized as an Orphan Drug Designation (5), and was approved following a two-way accelerated approval process: Fast Track Designation (6) and Priority Review. Spinraza® is included within the Rare Paediatric Disease Priority Review Voucher, an incentive programme for research on new drugs targeting infrequent paediatric diseases. In fact, Spinraza® is the eighth drug included in this programme. 1.- López Tricas, JM., Álvarez de Toledo Bayarte A. Eteplirsen for Duchenne Muscular Dystrophy. European Journal of Clinical Pharmacy 2017; 19(2): 75-77. 3.- Watts J.K., Corey D.R., Silencing Disease Genes in the Laboratory and in the Clinic. J Pathol 2012; 226(2): 265-379. 4.- Perry C.M., Barman Balfour J.A. Fomivirsen. Drugs 1999; 57: 375-80. 5.- López Tricas JM., Álvarez de Toledo Bayarte A. Approval of New Drugs. European Journal of Clinical Pharmacy 2016; 18(5): 291-3. 6.- Carrera Hueso, F.J., García Collado C., Jiménez Morales, A. Fast-Track Approval Schemes. European Journal of Clinical Pharmacy 2017; 10(3): 155-6.